Firstly, well done and thank you for providing this pleasant and great module - Maximenu_CK. It's brilliant! I'm implementing the horizontal version on Joomla 1.5. Please could you show me how to change the hover effect (e.g. display different color or fade or underline) on the top level menu items. (Note - I notice that this feature is available on the Joomla 1.6 version and even on the vertical version of Joomla 1.5). 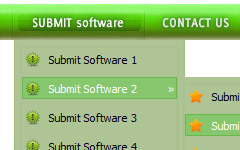 all features are implemented in joomla 1.6 and 1.5 version. So you should find it in 1.5. Thanks. I have attempted to modify the css, but no solution. Please can you direct me to the specific place to modify. Thanks. I have almost same problem with Joomla 1.6. Is it possible to show different color when menu is selected? Like when I have grey menu then selected menu item should be green.